The Enterprise Forum is an independent, not-for-profit organisation founded in 1997 to facilitate discussions on policy between the business community, the Government, politicians, and other stakeholders in the EU, National, Devolved and Local Government. We provide a two-way channel of communication, an independent middle ground where business can meet, debate policy and build relationships with key policy makers and provide a open forum for networking with other industry professionals. Since 1997 the Enterprise Forum has played a crucial role in bringing the Conservative Party and the business community together in a truly independent setting. The Forum has been a vital link for the Party to address the concerns of business people and receive feedback on areas of policy. Happy 20th anniversary to the Enterprise Forum - I wish you another 20 successful years. As President of the Forum I head an organisation that can boast a dynamic and experienced Management Board of recognised professionals within Public Affairs, reflecting experience and knowledge of all sectors of the business community. 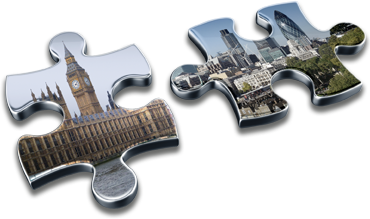 Over the years The Enterprise Forum has hosted hundreds of events, in a range of formats in London, Edinburgh, Cardiff and Brussels and chaired meetings on topics as diverse as retail crime to pensions regulation and construction skills base to the knowledge economy. We are proud to have as part of our membership a broad spectrum of industries that range from FTSE 100 companies to SMEs, trade associations and charities across all business sectors: Aerospace, Agriculture and Food, Construction, Creative Industries, Defence, Energy, Financial Services, Healthcare, Hospitality, Law, Manufacturing, Retail, Tech, Telecommunications and the Utilities. 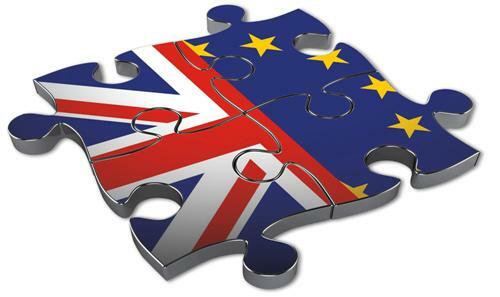 The Enterprise Forum is the only independent business organisation dedicated to providing open dialogue and communication with the Conservative Party and other Parliamentarians across the political spectrum in the UK and the EU on all aspects of policy creation and consultation. Due to the unique non-for-profit structure The Enterprise Forum has adopted since its foundation in 1997, it offers a transparent Forum to bring business closer to politics, to debate, inform and build relationships in all stages of the policy process. Whilst the Conservative Party were in Opposition and the Coalition Government, the Enterprise Forum built a strong dialogue between the Conservative Party and business leaders. Now they are in a majority Government, this dialogue is all the more important, as new joint policy and ideas are being implemented. The Enterprise Forum has pioneered the process of bringing business and party politics together. In creating a structured environment where the free flow of ideas can be heard we have held hundreds of events where the ideas and wisdom of business have been listened to and acted upon. The Enterprise Forum provides an independent middle ground where the views of business can meet with Conservative Party decision makers. Under the leadership of David Cameron, we continue to strengthen those links, building on the success of the last 13 years. Our focus is to continue being a membership driven organisation and build upon the accomplishments of past years, ensuring that the voice of business is effectively heard, right at the heart of the Conservative Party. May 2015 saw the return of Conservative Majority Government for the first time since 1997. 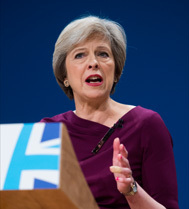 The Conservative Party’s platform to the UK at the 2015 General was to reduce the deficit as well as encouraging growth in the UK's economy. The private sector's role in creating new jobs and other opportunities is an important part of the Conservative Government's vision to deal with both. There has never been a more important time for business leaders to engage with Conservative politicians on policy. The Enterprise Forum’s role is to bring business closer to the Conservative Party through its programme of events and other activities in an independent setting. If you are not currently a member, I encourage you to get in touch and come along to a meeting, meet the Forum’s Directors and learn more about how our work can be beneficial to your organisation’s public affairs agenda. for regular updates to our programme and membership information.